When I was just a young teen trying to learn everything I could about magic, I came across a fellow named Kuda Bux on TV. At the time he was an elderly gentleman with a full head of white hair. He wasn't going to do an illusion or an escape or manipulation. He wasn't going to read minds or do card tricks either. He claimed he could see without the use of his eyes and he would demonstrate his unique ability. I had seen magicians do tricks with blindfolds, so I was sure what I was about to see was nothing more than yet another blindfold trick. He began by handing two large clumps of dough (flour and water) to a committee on stage and instructing them to put the dough over his eyes and push it deep into his eyes to prevent his eye sight. Then he handed two very large piece of medical gauze, about an inch thick and those too were placed over his eyes. Next his head was wrapped in bandages and after that cloth bands were wrapped over his head in every conceivable direction. Kuda Bux then instructed his on stage volunteers to write things on a chalk board and he would duplicate anything they wrote or drew. True to his word, he did just that. With his face and head covered he duplicated everything they wrote. It was amazing all by itself. But sometime later I had learned that Kuda Bux was legally blind at the time of the performance and that made it even more incredible. Kuda Bux was born Khudah Bukhsh in Kashmir Pakistan in February 17th 1905. He began his career in the mystic arts as a conjurer doing the same kinds of tricks we are all used to, linking rings, cards tricks that kind of stuff. But he always had an appetite for real magic which led him into studying yoga. Noted historian John Booth writes in his book "Psychic Paradoxes" that Kuda Bux first started doing the blindfold act as early as 1919. He also mentions that early in his career Kuda Bux billed himself as Professor K. B. Duke. Later he went by the name we know him by, Kuda Bux and added 'The Kashmir Mystic' as his title. 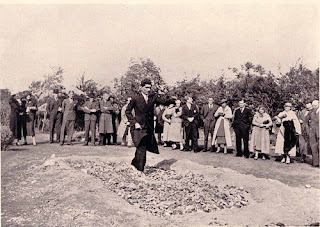 Kuda's fame seemed to rise in the 1930's following a highly publicized 'fire walking' stunt in front of the University of London Council for Physical Research. 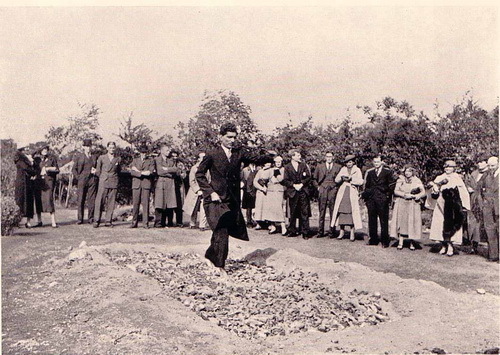 He repeated the same stunt in NYC in the location of where the Rockefeller Center now stands. His fame continued to grow and his moniker changed to 'The Man With X-Ray Eyes'. In March of 1950, CBS Television debuted a show called "Kuda Bux, Hindu Mystic". In William Rauscher's book 'The Mind Readers', he relates a story that appeared in Argosy Magazine, July 1952 and was written by author Roald Dahl. The short version of the story is that Kuda and Dahl were discussing his X-Ray eyes and he was asked if he could see through steel. Kuda Bux said no, because he had to be touching the object in order to really see it. So a test was devised where a book was held behind a door, Kuda put his arm through the door, held his hand above the book and within a few moments began to read from the book even though it was completely out of his site! Later in life, Kuda settled down in Hollywood California and was known for regularly visiting the Magic Castle. 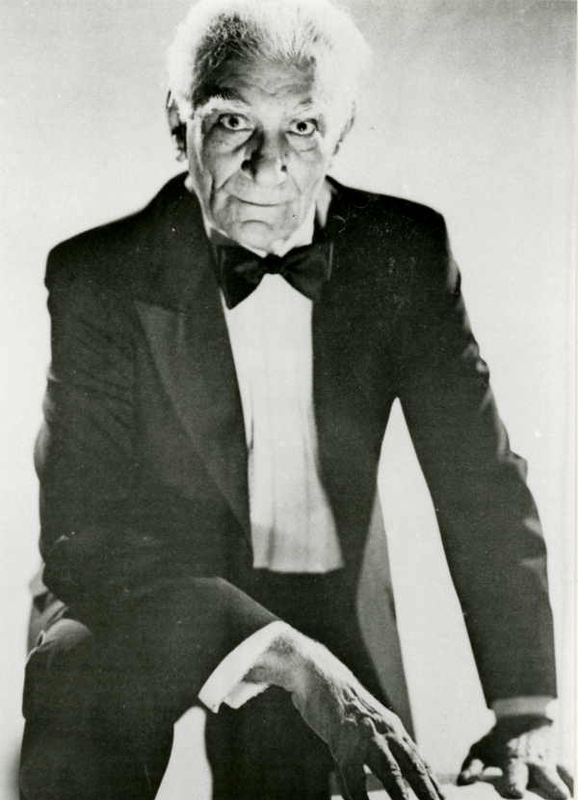 It's interesting to note that even though Kuda Bux performed regular magic, and even an illusion show at one time in his career, his blindfold act fooled many magicians to the point they weren't sure if it was a trick or if he could really see without his eyes. He died in Hollywood on Feb 5th, 1981, just a few days short of his 76th birthday. Fine post! I met Kuda Bux when I was a fledgling magician at the Dixie Magic Table in NYC, back in 1963 or so. He was a fantastic card handler, among all his other skills. Could do a force from a face-up deck! I still use his force, with his patter: "Pick a card from the running pack...". Saw him do that blindfold blackboard stunt you describe with an amazing twist: the spectator wrote a phrase in Finnish. Kuda Bux not only read what he had written, he corrected the spelling! USO. He was a big hit.